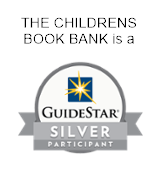 The Children's Book Bank believes it is important for all children to see themselves and their limitless possibilities reflected in the stories they read. Culturally diverse books can increase a child’s interest in reading and help them find a sustained connection to books. come from communities of color. Yet, less than 3% of the books donated each year feature diverse characters. In 2015, The Children’s Book Bank launched A Story Like Mine to bridge the gap between the need for culturally diverse books and the book donations we receive. To date, we have given over 20,000 culturally diverse books to more than 5,000 families. One of those was Marisol’s family. In 2018, we expanded our Story Like Mine initiative to include diverse, racially and culturally inclusive books for every child we serve. With your help, The Children’s Book Bank can provide children like Marisol with books that are meaningful and relevant to their lives. Make a gift today to support A Story Like Mine. Or purchase culturally diverse books to donate to The Children’s Book Bank. Check out our Birthday Wish List or choose books from a list of our favorites.